So you have been invited to a destination wedding and are debating whether you should bring your children with you. 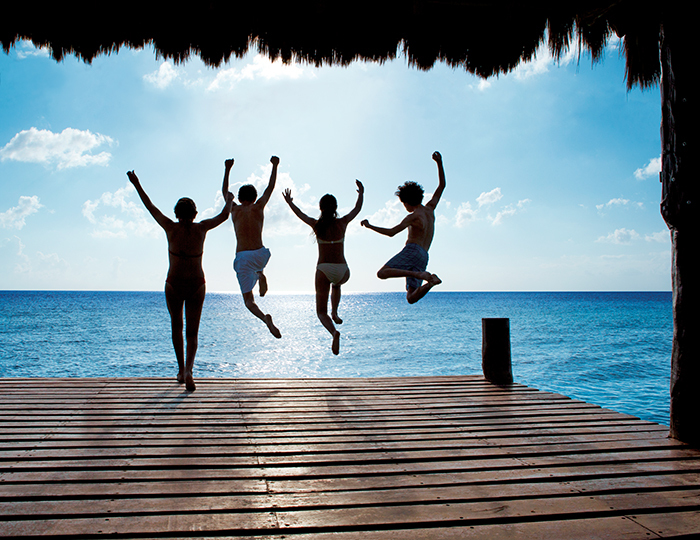 A vacation away from the little ones is fun, but you know having them at the wedding will be a cherished family memory. Plus your kids might be a part of the wedding, therefore it’s helpful to know what to expect before you all set foot on a plane. 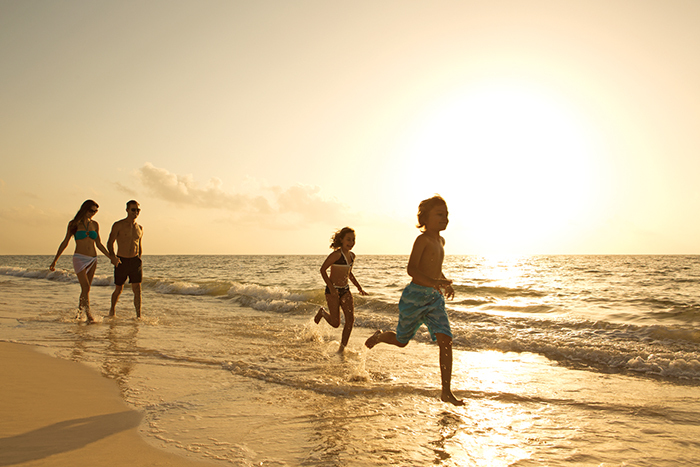 To help, we’ve put together our list of things you should know about traveling with children to all-inclusive resorts, so you can feel at ease and just enjoy yourself! First off, make sure kids are allowed. With any wedding it can be hard to decipher whether children are welcome to the party. Normally the invitation would give you a clue either by stating “[You] & Family” or having your children’s names on it. With a destination wedding, though, you might be booking your travel before you have the formal invitation. Don’t be afraid to ask the bride or groom if your kids are invited before you go buying flight tickets you can’t get refunded. Will my kids cost anything? Yes, you should expect costs for your children. Your kids’ flight tickets will be the same cost as an adult ticket. However if they are under 2 years old, most airlines will allow you to have them as a lap child rather than taking up a seat. For this you only pay the tax or some percentage of the adult rate, which is usually quite low. Also if you are bringing a car seat, you will most likely have to purchase a full-price seat. For the resort, generally children under 3 years old are free and children 3-12 are a lower rate than an adult rate, though this age range changes by resort. Kids older than 12 often are at the same rate as an adult. It’s also important to remember that child rates usually only apply if there are at least two adults in the room. So if you’re flying solo with your children, expect that at least one of your children will have to be at the adult rate. Just as you get all food and drink for free at an all-inclusive resort, so do your kids. All of their meals, juice, milk, etc. are completely free. 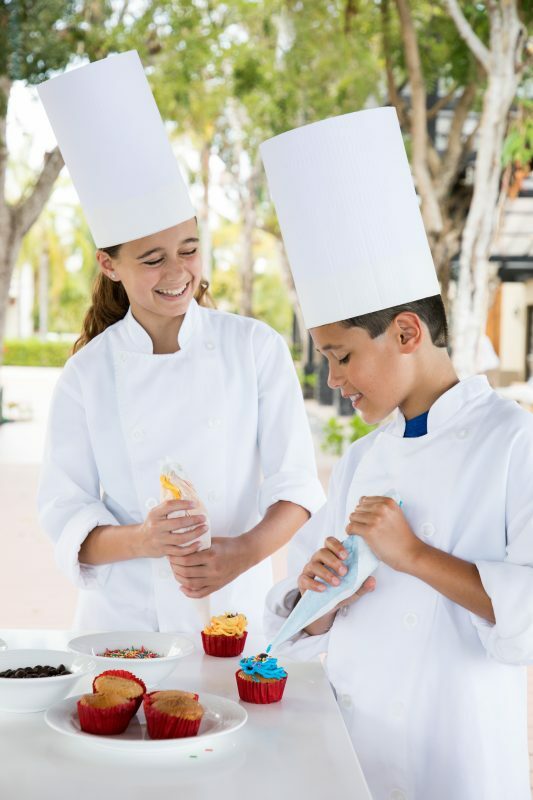 Plus all-inclusive resorts of today are tremendously sensitive to dietary restrictions, especially for children, so you don’t have to worry about somehow bringing 20 special meals along with you. Our advice is to bring a laminated card with your child’s allergies/food restrictions written on it. Anytime you go into a restaurant, just hand them the card and they will make sure the meal is prepared correctly and safely. If you need to bring baby food and/or breast milk, most resorts will have mini-fridges in their room and will clear out the contents, so you can keep the food fresh. Pro tip: Not a lot of resorts require reservations for their restaurants anymore. Find out if they do, though, and make sure to set up all reservations for the rest of your trip right when you get to the resort. It’s more difficult to get a reservation for a family, and your kids probably won’t love the idea of eating dinner at 9pm. They also need their passports! Children follow the same international flight rules that any adult does, plus arguably more. Make sure they have their valid passports for international travel by plane (not a passport card that only applies to land and sea travel). If you are flying with a grandkid, niece/nephew, or any child that you are not the legal guardian of, you should also bring a notarized letter signed by the legal guardians in order to travel with them. The kids should also be up-to-date on their shots. Give your family doctor a call and tell them where you are traveling to. Your doctor will be able to tell you if your kids need any shots before they go. Things to Bring. Do you need to bring a car seat or stroller? It depends on what is most convenient for you. If you decide to bring a car seat or stroller, remember that you might need to book a ticket for the car seat. A stroller will have to be checked at the gate, and you may have to pay for it as a checked bag. Many airlines will check a stroller for free, but do your research ahead of time so you are not surprised. Diaper bags and breast pumps are also often allowed on as carry-on items in addition to the maximum allowance. Pack ‘n’ plays and collapsible cribs will count as checked baggage that you will need to pay for. The good news is many resorts provide cribs, pack ‘n’ plays, and strollers either complimentary or for rent. Research ahead of time before you lug things you don’t need. Furthermore, transportation companies rent out all sizes of car seats, so you could have your child sit on your lap on the plane and still have the security of a car seat for the ride to the resort. Don’t forget sun protection. This is ten-fold for little ones. Bring biodegradable sunscreen with a high SPF level and reapply often. The sun is a lot stronger near the equator, and their sensitive skin will need all the defense it can get. In fact, swim shirts, hats, and sunglasses are also highly advised. Make it easy on yourself and book a private transfer to and from the resort. For families we always suggest booking a private vehicle to the resort as opposed to booking seats on a shared bus. A shared bus is made up of other guests of other resorts. You wait on the bus until it is full and it makes several stops along the way, increasing the total travel time. Kids especially do not have the patience for this (and, really, neither do we). The value doesn’t outweigh the benefits for those with kids. With a private vehicle, it is just for your family and goes straight to the resort, making for a much calmer and stress-free experience. Plus if you have enough people in your family, purchasing a private vehicle is often less expensive that individual seats on a shared bus. Choose a room based on your family’s needs. When choosing the room category your family will stay in, make sure you read up on it first. For example, you might not want a swim-up category if you have very young children, since the pool is right at the edge of the terrace. There is also a growing trend in all-inclusive resorts of open-concept design, with showers being not-so-concealed from the rest of the room. This might be a bit awkward for you and your family members, so look into categories that have “Family Suite” in the name. These are geared more towards families as opposed to couples, and have a lot of space. 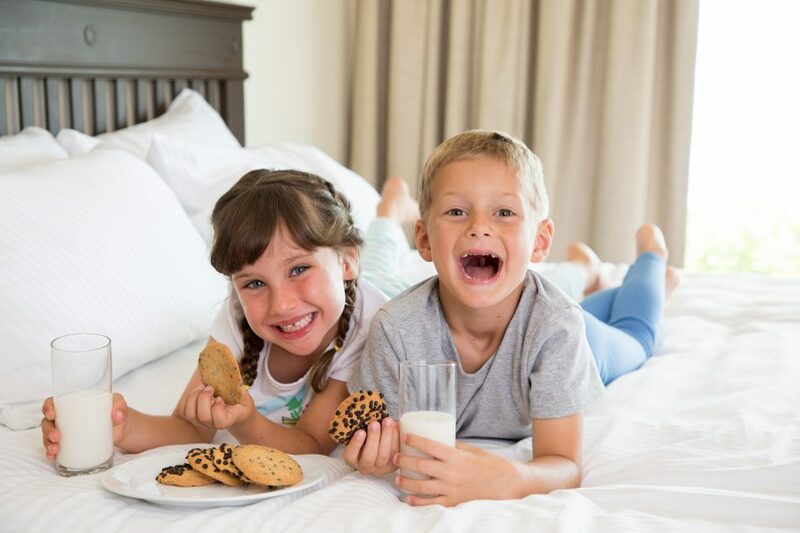 If you have preteens or teenagers, see if the resort has connecting rooms. This way you all have your own area, but you can still keep a watchful eye over them. You can even ask the resort staff to remove the alcohol from their room, just for extra measure. Take note of the location of rooms as well, and decide what you would like to be near. 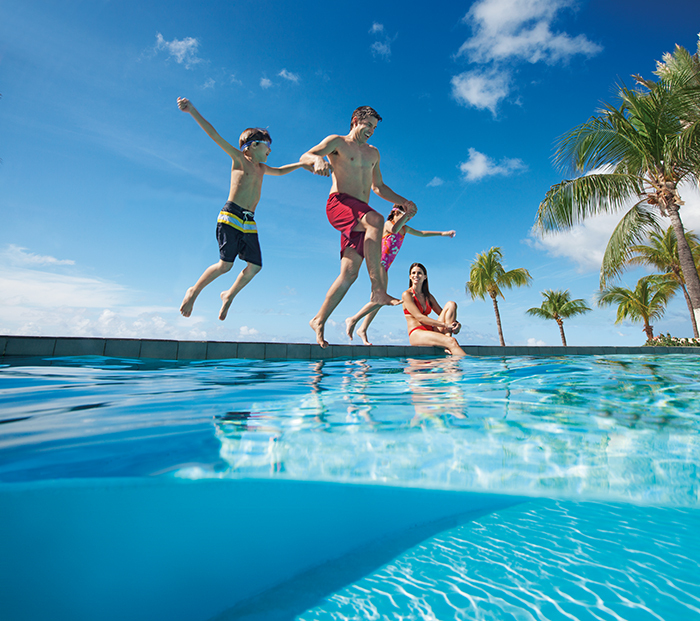 Does your family like the pool or the beach more? Or is it easier for you if you are closer to the restaurants? Try to be closest to wherever your family will mostly congregate (but also stay conscious of the noise levels). These are all questions and requests a Weddings by Funjet Travel Coordinator can assist you. There’s plenty of kid-friendly fun. 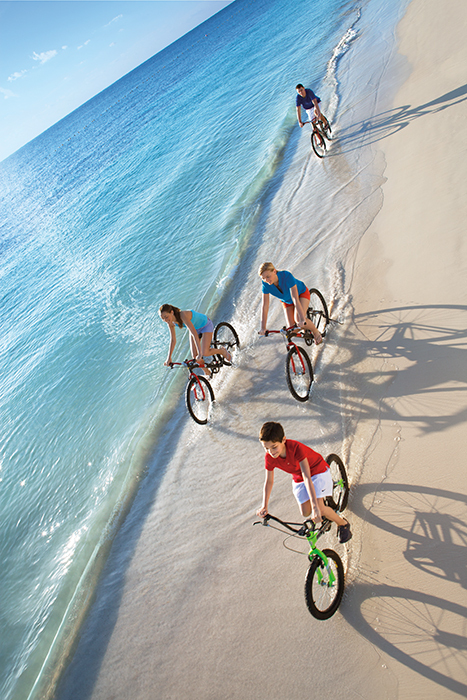 Family-friendly resorts are chock-full of great activities for kids and teens alike. Plenty have some sort of “kids’ club” with jungle gyms, educational activities, story time, and more, with certified staff to watch over them so you can go off and have adult fun for a while. 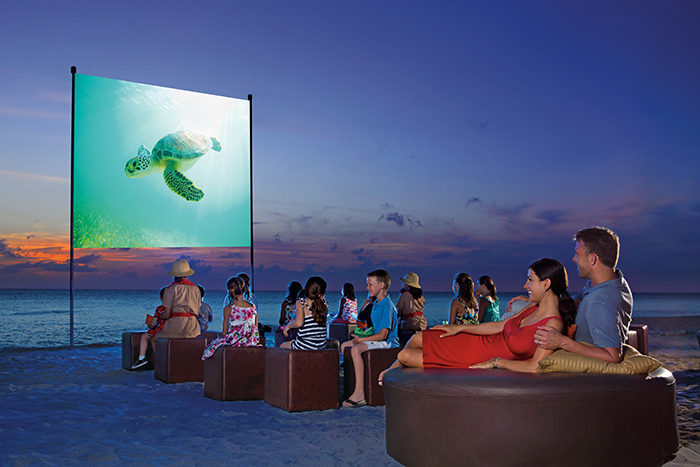 There are also daily activities geared toward families like movies on the beach, arts and crafts, cooking classes, turtle release programs, non-motorized water sports, and so on (all completely complimentary). Off resort, you’ll find an abundance of natural, educational, and cultural tours that you and your children will absolutely love. From exploring ruins to searching for exotic birds and monkeys in national parks, these will be the memories your kids will cherish forever. There are usually adults-only areas and babysitting services. Need I say more? Enjoy a drink by the pool kid-free for a couple hours. You’ve traveled with children – you earned it!